If you want to work from home, finding legitimate home-based work opportunities will be one of your biggest challenges in the beginning stages. Luckily, here at Dream Home Based Work we do all the heavy-duty research and testing when it comes to narrowing down the best options that are 100% legit. One of the easiest ways to start working from home hands down when you don't have many skills is to try out transcription work. I've dabbled in transcription work myself as a freelancer and it was pretty easy to catch on and earn an honest living. The great thing is that there are plenty of trusted companies emerging and looking for home-based transcriptionists. 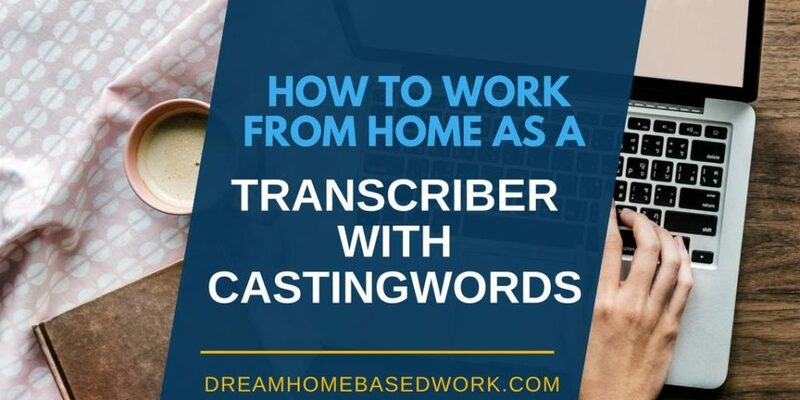 CastingWords is one of those companies that will pay you to work from home as a transcriber. Let's take a closer look at this company and what it's like to work for them. CastingWords is a technology-oriented transcription firm located in Los Alamos, New Mexico. It was founded in 2005 and has been featured in media outlets like The Economist and The New York Times. The company is best known for offering flat-fee transcription services but they also sell transcription services in several languages and offer a range of tools to help with high-volume orders. CastingWords hires freelancers to complete transcription tasks sent by their clients. As a freelancer, you'd be responsible for completing your transcription task and editing it to ensure it meets the company's quality control standards. You can work from anywhere you have a computer and Internet access, and on your own time. Some assignments require higher badge levels than others. The freelance dashboard provides an overview of your account and jobs. Here you can see your badges, read the feedback on your most recent assignments, and check how much you've earned. You can pick an assignment from the Available Jobs list. Each job has a “time allotted” description which tells you how much time it should take you to complete the task. If you want to work on it, you click the “Work on This” button to assign it to yourself. 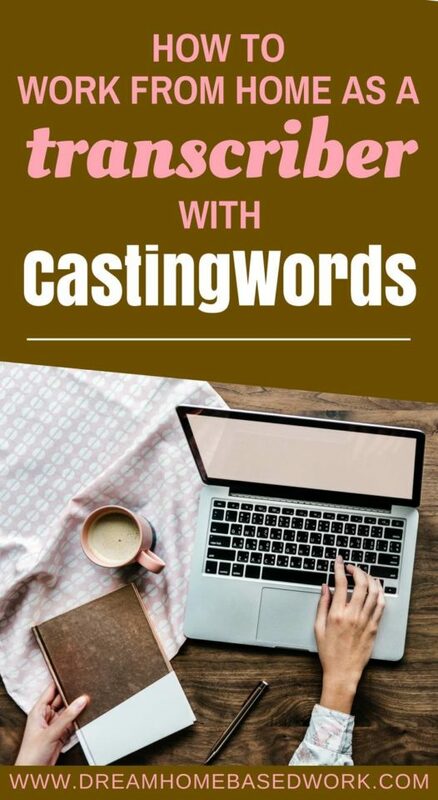 After completing and reviewing the work, you submit it to CastingWords. CastingWords will then rank your work and submit payment upon approval. Freelancers can get a consistent workload with CastingWords although it may not require a full-time commitment. It's important to realize that there are certain levels and you may land more jobs as your level increases. If you have done some work and had an assignment rejected, gotten low grades, or let one or more jobs expire, your badge score will fall. When your bade score falls, it decreases your level and the opportunity to receive solid transcription work. You'll need a PayPal account in order to get paid. CastingWords pays freelancers via the PayPal MassPay system. The company pays the PayPal fees, so you get the full balance of your account when the funds are transferred. Payments are made every Friday at 10:00 AM Pacific Time (GMT-7 or GMT-8, depending on the time of year). You can let your earnings accumulate from week to week, or request a transfer any time prior to a scheduled payout. Applying to work for CastingWords as an independent contractor is easy. You need to be at least 18 years old, reside in one of their supported countries, and be able to accept PayPal payments. You can click here to sign up. You will need to pass a test where you'll need to transcribe a short audio file. The great thing about CastingWords is that you can transcribe in different languages if you're bilingual and you can also subcontract the work to other people. After passing the test, you will need to read and understand the full-length Style Guide before working on paying assignments. This could be a great way to increase your earnings and build a team under you to take on more work. Have you ever thought about getting paid to work from home as a transcriber?